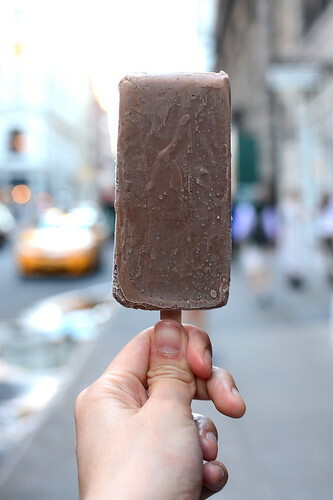 New York City Sweets: Cake, Paletas and more! 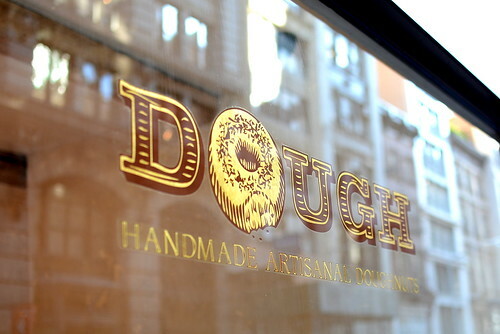 A trip to New York isn’t complete without a doughnut from Chef Fany Gerson. 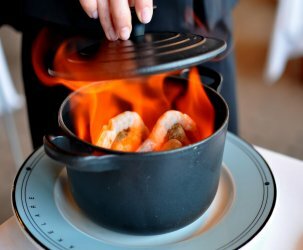 She opened a Manhattan outlet of Dough in 2014, which made it much easier for us to get our deep-fried high on this visit. Making the trek to Bed-Stuy would’ve been pretty tough with a baby. The flavor that caught our eye was the Tropical Chile, a giant yeast doughnut glazed with a chili-spiked passion fruit icing. 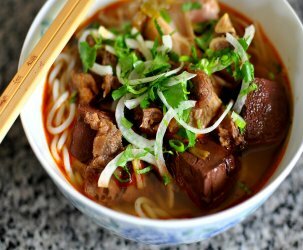 It was tangy, hot, and sweet. Delightful. 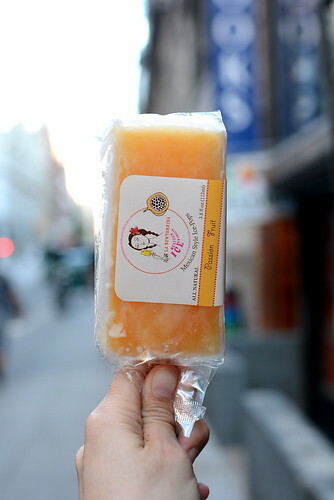 In addition to making some of the best doughnuts ever, Chef Gerson also makes outstanding paletas (Mexican popsicles). We picked up two flavors from the ice chest at Dough. 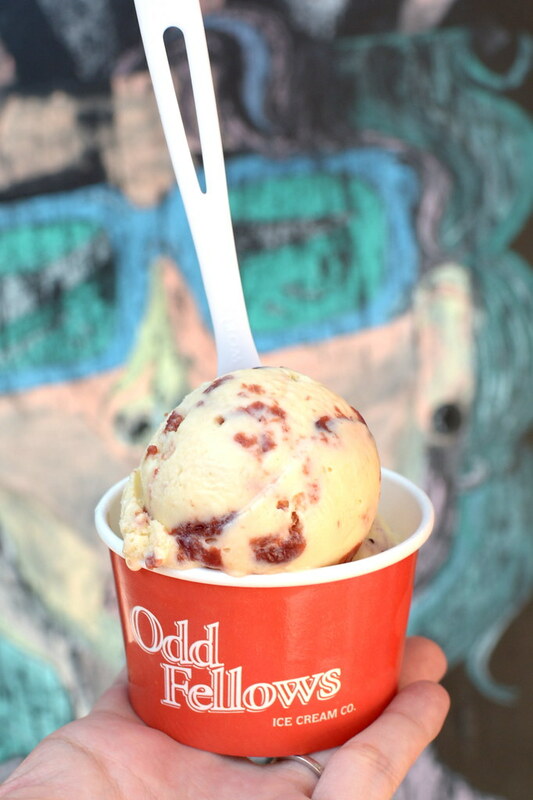 While the passion fruit paleta was totally refreshing, it was the slightly spicy, Fudgsicle-like Oaxacan chocolate flavor that we adored. 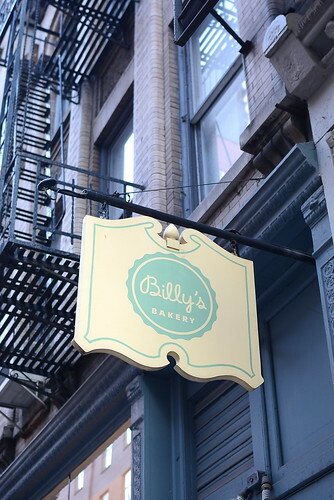 The Astronomer and I visited Billy’s Bakery back in 2007 for my first taste of red velvet cake. 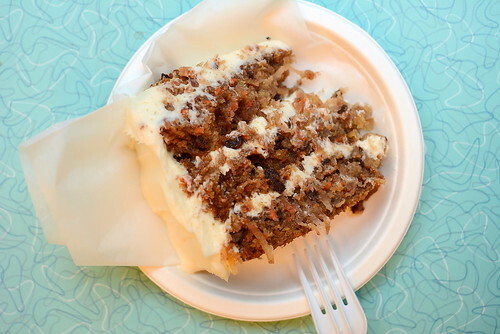 We returned this time for an equally sweet and decadent slice of carrot cake. Generously frosted and moist as can be, Billy’s carrot cake totally hit the afternoon “cake break” spot. 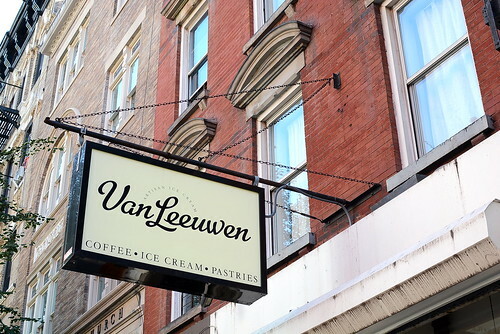 Even though Van Leeuwen has ascended upon the City of Angels with multiple locations, we couldn’t resist stopping by their East Village shop for a scoop. 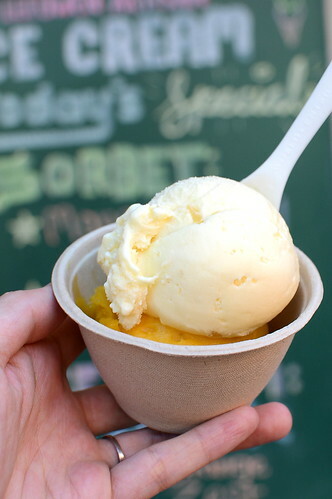 A single serving included two flavors, so we chose the mango with yuzu sorbet (a seasonal offering) and the ginger ice cream (a menu mainstay). 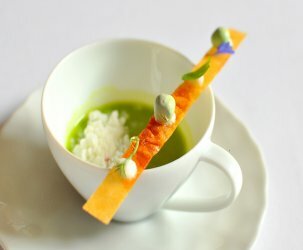 The latter flavor, with its unmistakable heat and aroma, was creamy, dreamy, dazzling. 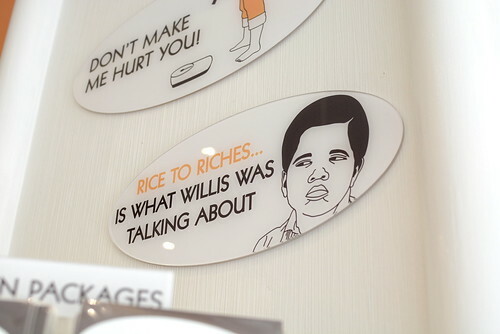 We dug into some decadent rice pudding at Rice to Riches. I adore rice pudding and was stoked to stumble upon a hyper-specialized shop serving the dessert in a plethora of flavors. For him, the raspberry rice pudding. For her, the coconut rice pudding. Both were luscious and so, so rich. We couldn’t finish the thing, which is saying a lot considering how much we I love sweets. 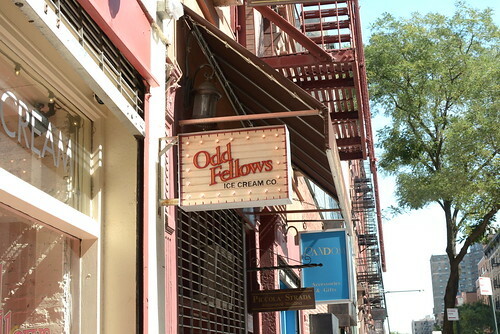 On the same afternoon that we paid Van Leeuwen a visit, we also hit up Odd Fellows, because vacation calls for multiple ice cream stops per day. 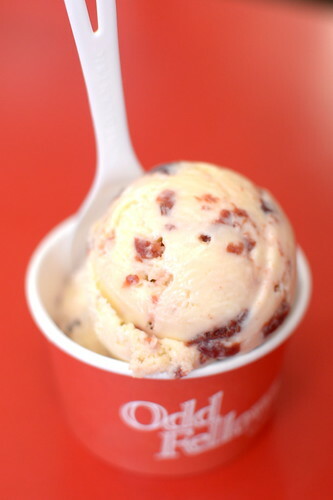 Here, we shared a big scoop of miso cherry that was a touch sweet, a little tart, and totally intriguing. That donut looks amazing. 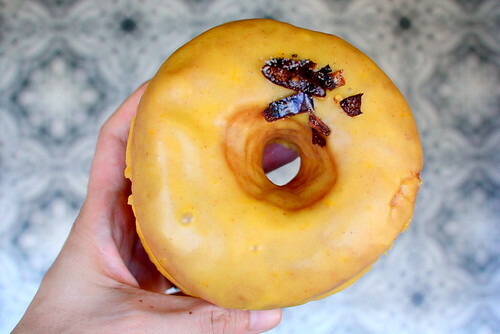 Wish we had passionfruit chile donuts in Chicago.